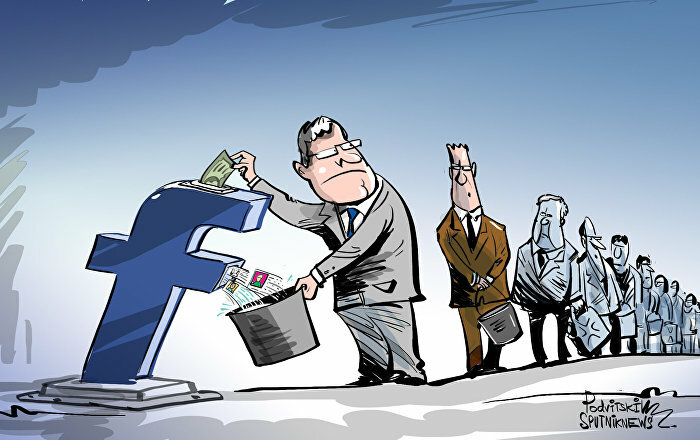 The consulting firm has fallen into a hot water and is currently being scrutinized by the UK and the US governments over accusations of illegally obtaining the data of 50 million Facebook users and using it to influence elections and referendums in these countries. Brittany Kaiser, a former top executive at Cambridge Analytica, visited WikiLeaks' founder Julian Assange on 17 February, 2017 at the Ecuadorian embassy in London, the Guardian has reported, citing data from the embassy's visitor logs. According to the Guardian, she had also allegedly funded WikiLeaks using cryptocurrency. The media outlet claimed that the recently obtained information had already made it to the British Commons digital, culture, media and sport (DCMS) committee. Neither Brittany Kaiser, nor WikiLeaks have commented on the report. Kaiser had previously claimed that Cambridge Analytica never had any contact with WikiLeaks, despite reports to the contrary. At the same time, she admitted that some of the company's employees had contacted lawyers who had previously represented Assange. Kaiser left the controversial company in January 2018. UK and US authorities have initiated separate investigations into Cambridge Analytica over allegations of illegally obtaining data of 50 million Facebook users and using it to influence voters in these countries. Despite the fact that the company itself no longer exists, the investigation against its former employees and executives is continuing.